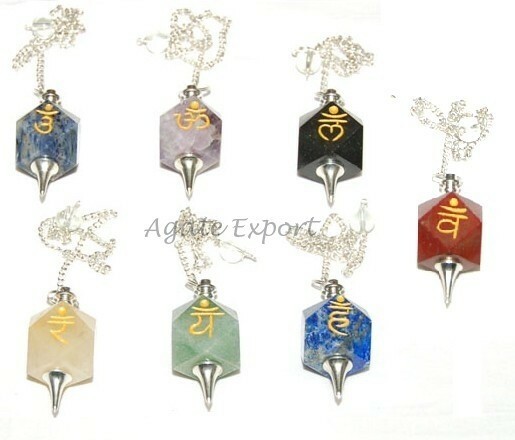 Chakra Pendulums Balancing Set is a collection of pendulums made of chakra stones. Each stone has Sanskrit mantra engraved on it. each pendulum is 15-20mm long.